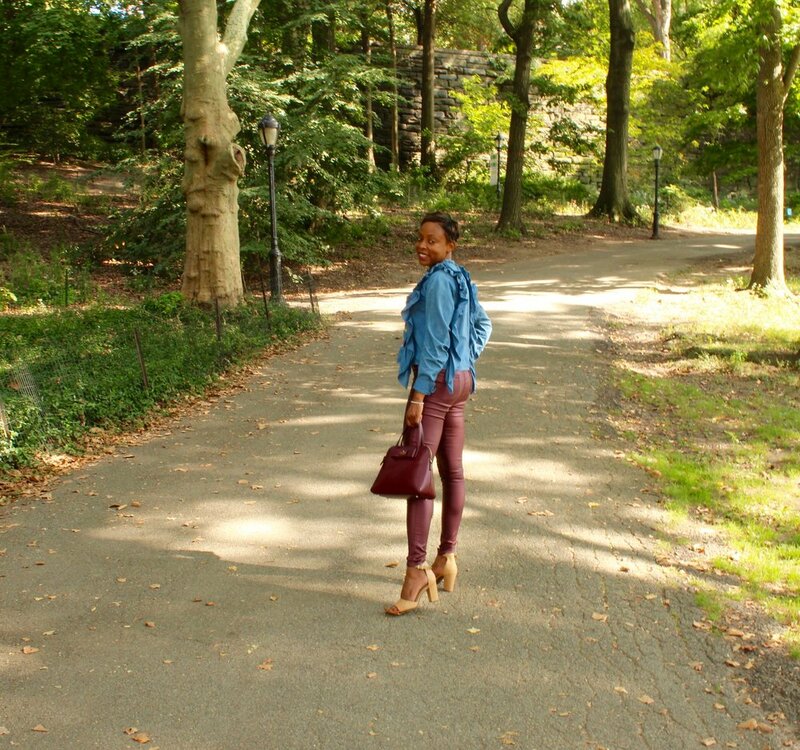 Fall Fashion: Burgundy Faux Leather Pants — . This post may contain affiliate links, while this is no extra cost to you, it means that I receive a commission if a purchase is made. Thank you for the support. It was serendipitous that I ordered these Missguided burgundy faux leather pants last winter, because they're the perfect piece for this Fall and Winter. I like when a piece of clothing is more than just a passing trend. Burgundy has long been one of my favorite Fall colors so I'm also getting a lot of wear out of my Kate Spade bag (just look at my Instagram account) this Fall and even got a gel manicure in a shade of wine to celebrate the new season. I wore this look to brunch with friends in Riverside Park. We brunched at Ellington in the Park, a scenic comfortable outdoor restaurant in Riverside Park with excellent views of the Hudson. Before this brunch, I hadn't been to Riverside Park since my undergrad days so it was nice to be back in my old stopping grounds with my friends from college. Ahh, the memories.